A former Senior Vice President of Booz Allen Hamilton, Charles El-Hage has 25 years of worldwide management consulting experience, covering a wide variety of industry and functional areas. He established and developed the Booz Allen business in the Middle East, until retiring from consulting in 2009. 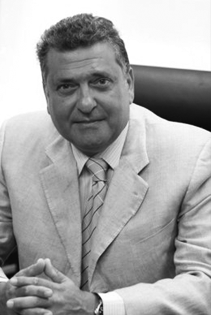 Charles El-Hage is on the Advisory Board of EuroMena III. Charles El-Hage has provided services to a broad spectrum of multinational and regional companies, in areas such as Banking, Insurance, Automotive, Health Care, Telecoms, Petroleum, Chemicals, Information Technology, and Construction. He is currently a Director on the Boards of a number of Middle Eastern companies and non-profit organizations, including Chedid Capital Holding, Group One, Aramex, Quantum Group, and Jouzour Loubnan, among others.